Shimmering Hummingbirds with a multitude of beads – in a nice, small design which can be carried around. 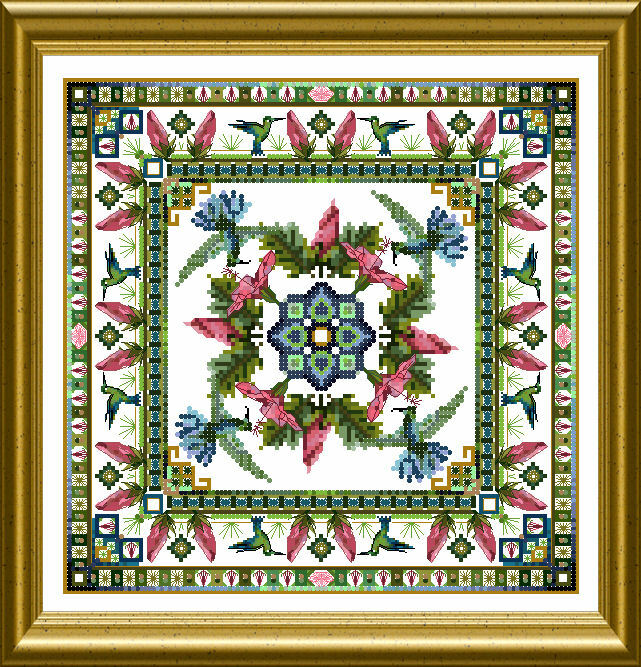 These colorful birds are designed as an ornamental tile here, surrounded by a pretty border. 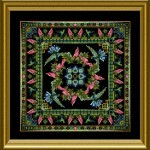 A big yes for this model The Tile perlée Hummingbird !!! 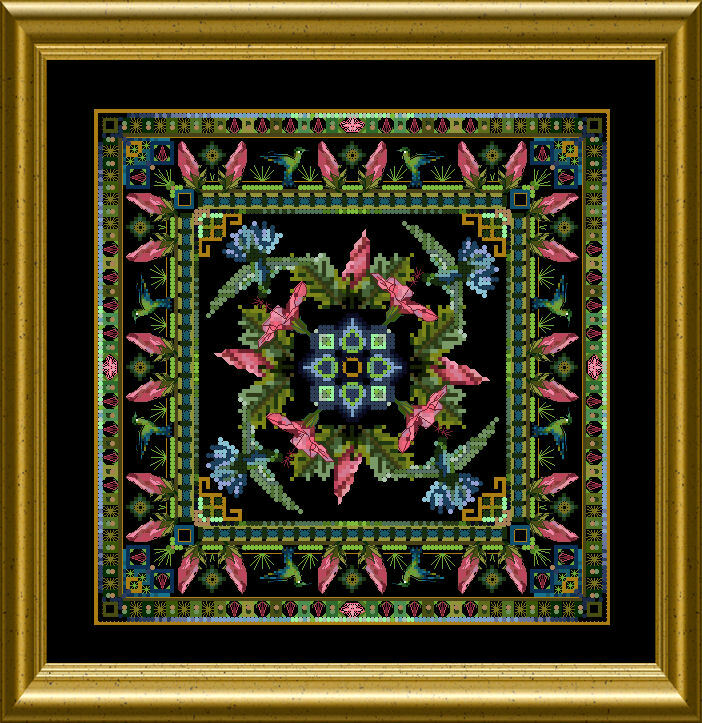 The Beaded Hummingbird Tile OCF-ONL117 Is this just the pattern or is this a kit with fabric, threads, beads etc.? Hello Dianna, we only sell digital goods. So it’s only the pattern.